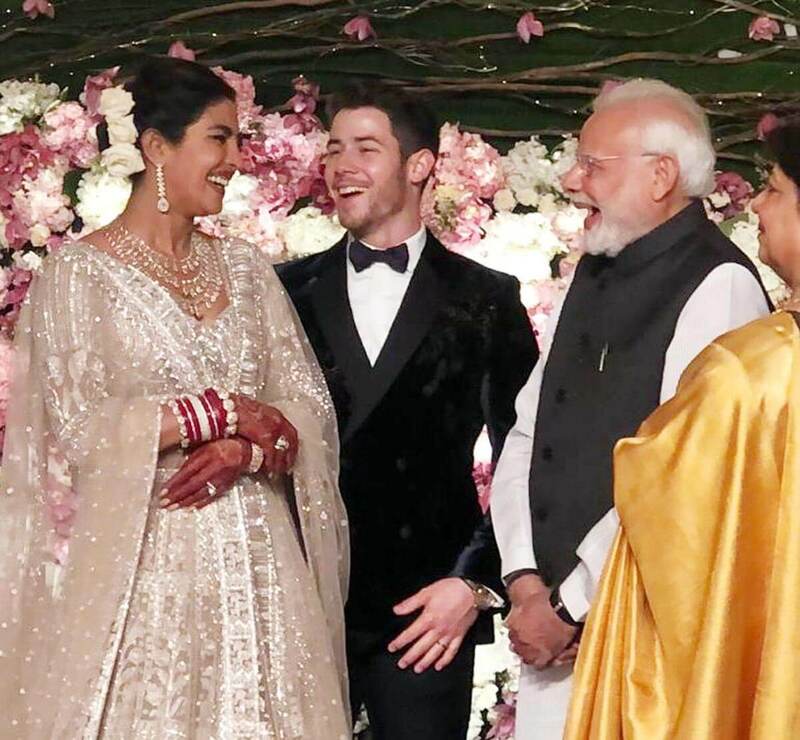 New Delhi: Indian Prime Minister Narendra Modi led a crowd in congratulating newly-married couple actress Priyanka Chopra and American singer Nick Jonas at their reception here on Tuesday. 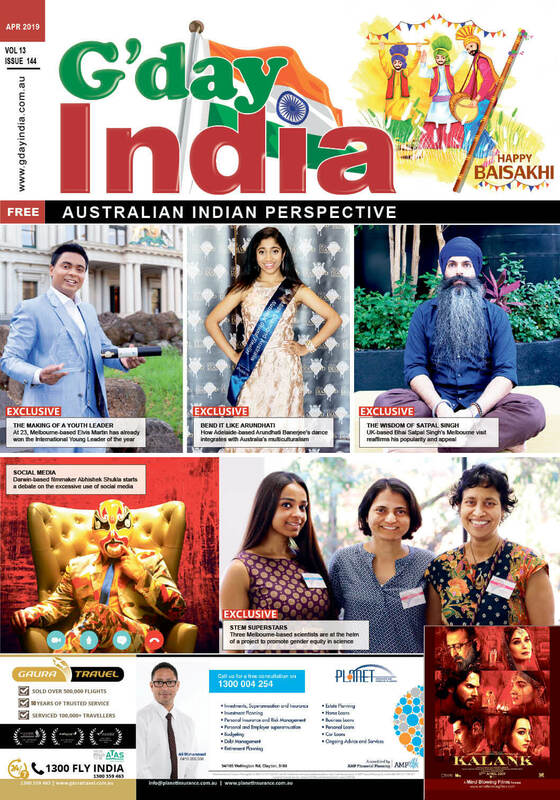 Modi arrived here amid tight security to be part of the special day of the actress, who first made India proud by winning the Miss World crown in 2000, and then became a leading Bollywood actress, followed by a rare successful crossover into Hollywood. modi-pcThe PM, who was escorted on stage by Priyanka’s mother Madhu Chopra, gifted the newly weds a rose each and shared some moments of laughter. He was dressed in a white kurta-pyjama with a black Nehru jacket. He remained on stage for about 10 minutes, meeting Nick and Priyanka’s families with folded hands and exchanging pleasantries. Priyanka dazzled in an elegant shimmering Falguni and Shane Peacock ensemble with a multi-layered diamond necklace and earrings, with her hair neatly tied in a bun complete with white roses. She flaunted the “choora” — traditional red bangles worn by a Punjabi bride — and sported vermillion. Nick was dressed in a velvet dinner jacket and completed the look with a bow tie. Candles flickered away at different spots of the venue which was enlivened by the sound of live music and a free flow of cocktails and a wide variety of food. There was also an element of quirk with a vintage car which read “Just Married”. Kumar was touched by Priyanka’s invitation. “I remember Priyanka had come to me first before she was going for the Miss World pageant, and I had told her to wear a lot of ethnic wear. She wore some of my designs. I am very happy for her. She has come a long way,” Kumar said. The gala evening was preceded by a three-day extravaganza in Jodhpur’s majestic Umaid Bhawan Palace, where Priyanka, 36, and Nick, 26, exchanged wedding vows as per Christian and Hindu rituals in two separate ceremonies. Of her wedding, Priyanka, a National Award-winning actress who has made her name in Hollywood as the lead star in American show “Quantico”, told people.com of her wedding: “I love that our wedding was a religious mash-up.